Classes are all about one to one sessions where you get individual attention to learn better. We focus on your uncertain areas and make sure we deliver the best score. We provide online and offline classes at your own pace and comfort. Our IELTS Personal Training classes help you to score a minimum band score of 8 in each section of Listening, Speaking, Reading, Writing in the PTE exam. A good score in the IELTS test is a must for study and immigration visa for major English speaking countries. With our professional trainers, we assure the best test scores, so much so that the testers will be impressed with the individual performance of the test-takers who have completed our IELTS Test Preparation Program. Classes are held on weekdays from Monday to Thursday with flexible timing as per student and all the modules will be revealed one by one. We conduct tests before and after every module completion, this helps to know your improvement. We make changes in the program accordingly. We always provide you the best with value for money expertise on how to crack the IELTS Test and provide personal attention to you. We offer IELTS Test Preparation training both online and in classrooms. Enroll and fill the form to join with us and to crack IELTS test. With the assessment, we will assign our program as per your level. Once you enroll, you can choose your constable mode of coaching, online or classroom. After enrolling, you have to write an assessment test, it will help us know your language level. I’m case of online classes, login with the shared credentials and you can access our online training program. The trainer will be available on an allocated time for you. We conduct mock tests which will help you to crack the IELTS test. Is that IELTS course is provided one after another? Yeah, we conduct one to one session for people who registered for personal training. What about the Fee structure for Personal training? Since the training provided under the individual guidance from the trainer, the fee for personal training will be about Rs 10,000/-. 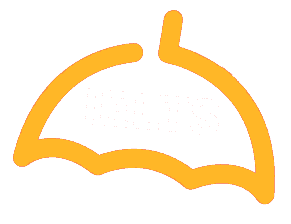 Will you provide material for IELTS course? Yeah, we will provide a soft copy for both online and offline. This soft copy material will be mailed to the candidate. What if anyone joins for the batch? The candidate can contact the management and make the problem solved. Can you explain the process to take an online course? For the online course, submit your details in enrol now, contact details, twak.to. After that, you will receive from our executive. Inform the timings to take a demo, after that; a link will be assigned to your mail for demo click on that. In the same way, a link will be shared with the candidate until the course completes. Which place is better to IELTS exam? Test place doesn’t matter for IELTS test since the test will be gone through online. The best option for the IELTS exam is select test centre which is nearby.